Not going to be cold this year. Last year, I tried to get by without buying proper cold weather apparel. That was not smart. I ended up wearing 8 different layers under a camo windbreaker. It was fine for stalking, but sitting in a treestand in 20 degree weather I froze and vowed not to make the same mistake twice. Following my conversation with Mark last week I ordered a bunch of gear. 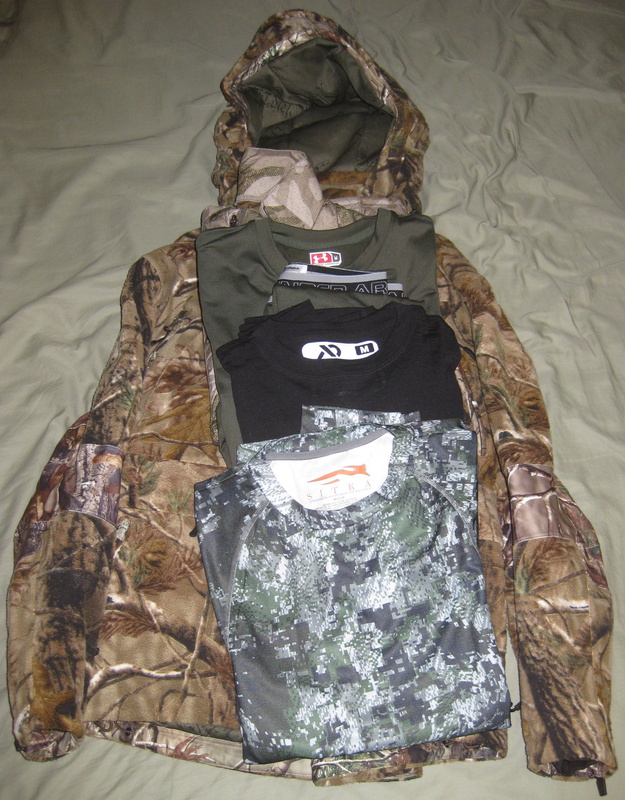 I bought the Cabela’s Bowhunter Xtreme SST Parka, Cabela’s Ultra Pack Microdown Vest, and three base layers, a Sitka for warm weather, a general purpose Merino Wool, and a full set of Underarmor ColdGear for cold hunts. I also got my Muddy Outdoors Stand and five Muddy Climbing Sticks. I was concerned that maybe I bought the Parka too small to properly layer, but it fit perfectly over my base layer and microdown vest, in my 70 degree apartment I started sweating almost instantly. This season, I may not succeed in getting a deer, but at least I won’t be cold. Don’t pass up single-use hand warmers. Toss half a dozen in your pack, if they weather is colder than you thought, or if you get chilled, open a few and put them in the closest pockets to the ‘chilled’ area, even under your hat on your head. The “Hothands in the Hat” idea is one I didn’t think of, but usually my head was super toasty, I think maybe I’d put one on each side in my collar to take advantage of the body’s natural heat transfer system. That looks like a solid, versatile set of gear! Let me know how it works out for ya’.